When you call us, you talk directly with the owner, Corey J. Culley, who will consult with you face to face, and who will be on site for all of the jobs we do. Don’t buy into the large tree company hype. Choose an actual family owned and operated business. You only have to deal with one person, not four as with most other companies (owner, salesman, office manager, crew leader, etc.). This eliminates the loss of communication from the client, to the salesman, to the foreman, and then the crew members, and an owner who you will never get a hold of should an issue arise. Would you rather have an owner who rides around in a truck talking on the phone all day, or one that works in the field with the crew everyday? That is the DC Culley advantage. 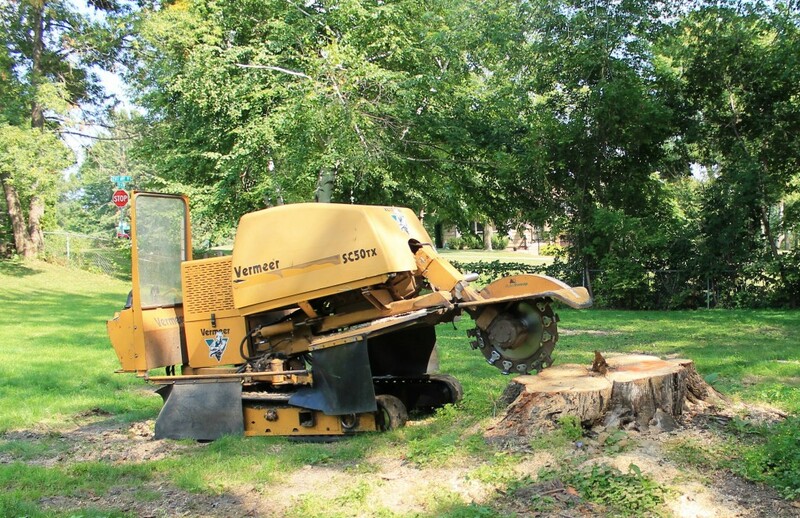 Most companies offer one option for stump removal; however, at DC Culley Stump Removal, we offer four different methods of removal. Option One: We remove the stump, rake and shovel the chips back into the hole, and pile the excess chips on top of the stump area. The mound of chips is approximately three times the size of the stump. Option Two: After removing the stump and raking and shoveling the chips back into the hole, we level it off and grade it. We then clean up and haul away the excess chips, leaving behind a “mulch bed” where the stump used to be. Option Three: This option is less costly. We first remove the stump, then clean up and haul away the chips, leaving the area empty. You can backfill the hole with topsoil yourself to keep costs low. Option Four: Our last option includes removing the stump, cleaning up and hauling off all of the chips, and backfilling the hole with top soil. This is a great way to remove a stump. Give us a call today for all your stump removal/grinding needs. Proudly providing professional stump removal/grinding needs for the Pittsburgh area and surrounding communities since 2006. © 2015 DC Culley Inc.